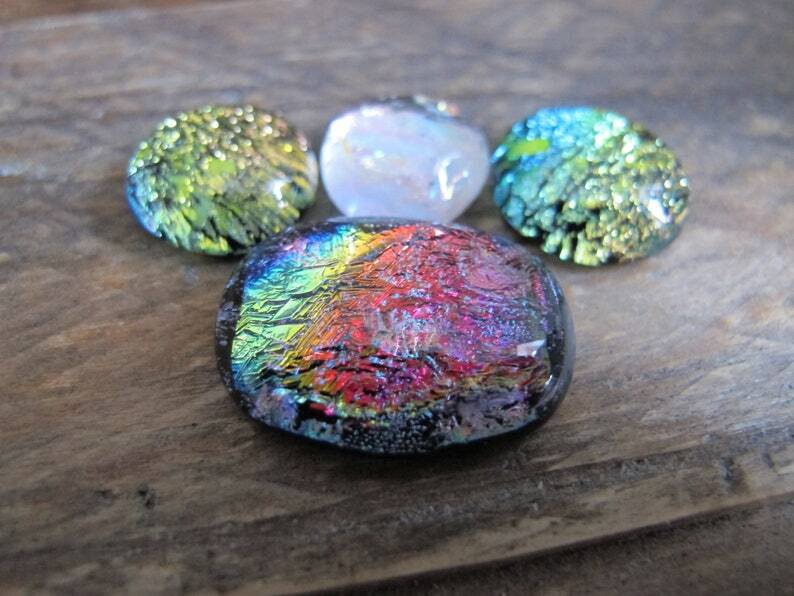 This listing is for four dichroic glass freeform cabochons made by me. The larger oval cab is purple/copper/green and measures about 25mm x 19mm. It is fused to black glass. The two other gold flecked cabs measure about 16mm and 18mm each. They are also fused to black glass and are capped with yellow patterned specialty glass.. They are best suited for custom bezel cups and settings, wire wrapping, metal clay, and wrapping with copper foil etc.